During the BUILD 2010 CHBA-Alberta annual conference held in Jasper the home builders association recognized members that have demonstrated a commitment to safe employees and worksites. All safety award winning members hold their Certificate of Recognition (COR) in safety, have low lost time claim rates and have demonstrated safety service to the industry. 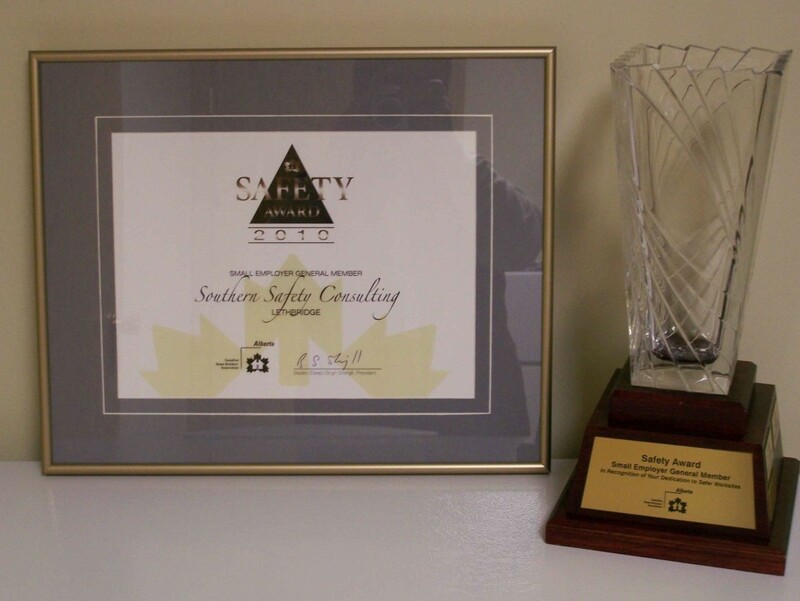 Southern Safety is the proud recipient of the 2010 Safety Award in the Small Employer General Member category. Thank you ATCO Gas for sponsoring and presenting this award to our company.